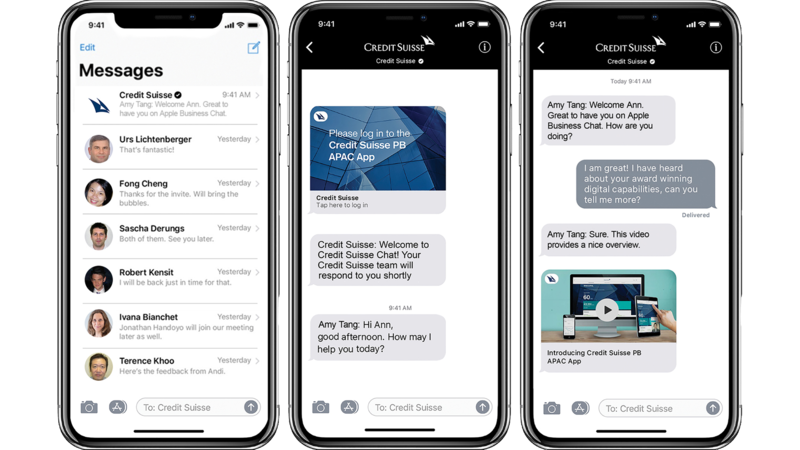 Our latest digital innovation allows you to conveniently engage with your Credit Suisse team with the ease of chat messaging. Provide instructions – Seize market opportunities by placing orders to your Relationship Manager via chat. Send documents – Convenient channel to send images of documents you have completed to your Credit Suisse team. We are the first private bank to support Apple Business Chat, a powerful new way to communicate through Messages on your iPhone and iPad. With this platform, your Credit Suisse team is just a chat away. Click here or scan the QR code below using your iPhone or iPad to initiate a chat. Follow the steps displayed to complete your authentication using the Credit Suisse PB APAC app. please contact our Customer Care Center on +65 6212 6000.